The Mountain Heritage Trust is delighted to announce that in May 2017 it will be embarking on an exciting 19 month project supported by a grant of £49,400 from the Heritage Lottery Fund. 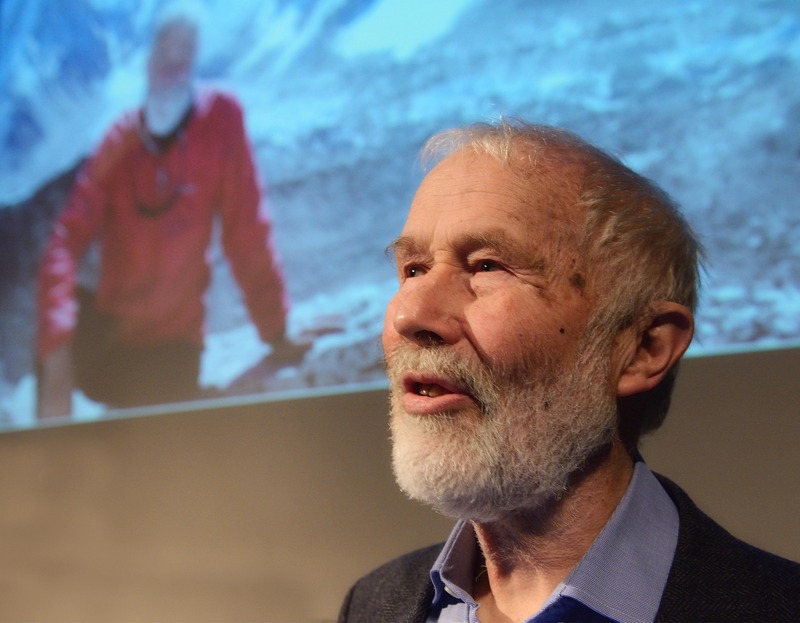 Thanks to money raised by National Lottery players, Man + Mountain will bring to life the story and explore the influence of one of Britain’s most successful mountaineers, Sir Chris Bonington.As part of the Man and Mountain project, stories about Chris’ life, and his influence on theexperience of outdoor activities in Cumbria and the wider world, will be explored through an exhibition at Keswick Museum and Art Gallery from May – December 2018. There will also be oral history recording and a range of activities and events to promote learning about mountain heritage and engagement in the outdoors, particularly in the immediate environment of the Lake District. Among his many mountaineering achievements Chris was one of the two man team to make the first British ascent of the North Wall of the Eiger in 1962, and led the 1975 Everest South West Face expedition in which Doug Scott and Dougal Haston were the first Britons to reach the summit. Chris has also actively supported the promotion of, and greater participation in, sports, education and heritage. He has served as Chancellor of the University of Lancaster,President of the Council for National Parks, and is Patron of both the Outward Bound Trust and the Mountain Heritage Trust. The Mountain Heritage Trust is excited to be working in partnership with a number of organisations in Cumbria on this project including: Cumbria Youth Alliance, Keswick Museum and Art Gallery, the University of Cumbria, the Field Studies Council (Blencathra Centre) and the John Muir Trust. There will be lots of opportunities for a wide range of people to get involved with this project, through partner organisations, attending the exhibition and events, or as a volunteer. We’ll be recruiting volunteers to collect oral history interviews – a great chance to hear first hand some of the unwritten histories of the people, places and organisations that Chris has had an influence on – and for exhibition research and curation alongside professional curators. An advert with more details about volunteering will be available onthe Mountain Heritage Trust website soon.